Hello everyone! It is so nice to here from all of you! I hope you are all doing great! It seems like you all are! This week was really good, we had a lot of fun adventures, not a much teaching investigators but some exciting fun stuff! Tuesday 6/23 – We taught an investigator today named Richard, it went really good but we don’t know if he really wants to meet again that much! He is a nice guy though and he asks some really good questions! So hopefully we will get to meet him again! We also did street boarding today which was pretty hard and I met a lot of really rude people but that is okay. We got a few numbers and talked to a lot of people so that is good! Wednesday 6/24 – We got Krispy Kreme today for the first time in a while! It was soooo goood! I was really satisfied to say the least! 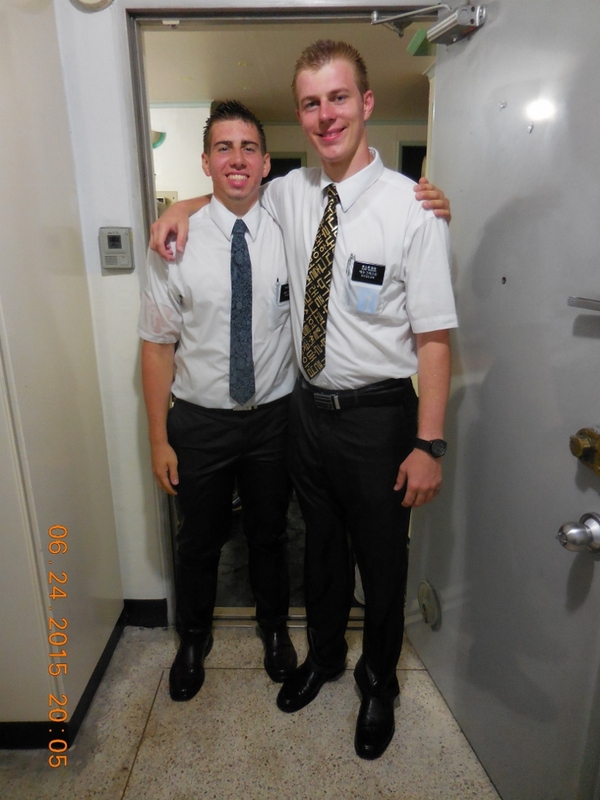 Court also went to the MTC today so that is crazy and awesome! She is gonna do great on her mission! Today was also a fun day because we had a crazy rainstorm! So we new the rainstorm was coming so we went out with a umbrella but got a ways out and saw the Sisters who didn’t have an umbrella, so we gave them our umbrella and ran away so they couldn’t protest, it was raining good but not crazy so we just kept going! After we tried to visit a member we started to head back and the rain let up, I said I liked the rain and didn’t want it to stop………. haha my companion said that too….. Then it hit, and it was a downpour to say the least! From the time it hit hard we were completely soaked in seconds, too soaked to take a taxi, so we walked. It rained so much and so hard the streets flooded. I was walking through ankle deep water before I knew it! Haha it was so much fun! Crazy, but a lot of fun! We finally got back and I think I would have been less wet if I jumped into a pool! Haha it was crazy! My timbuk2 bag did great though, only a teeny bit of water sneaked in so all my stuff except my vocab flash cards in my front pocket were fine! and my wallet was a little soggy too! It was awesome though and we got back safe! We had a lot of fun and really enjoyed it! Thursday 6/25 – Today was super hot and super humid from the downpour yesterday! We just proselyted all day! Friday 6/26 – Thursday night it rained all night so the morning on friday was amazing! It dropped in degrees a ton! I would guess 30 degrees! Haha We actually studied in blankets cause we got cold! It was so weird! but the weather that morning was just amazing! The sun shining through the clouds through our opened windows was just amazing, it was so peaceful and studies were just peaceful and amazing, a great opportunity to think about Heavenly Father and Jesus Christ and there greatness and feel the peace of knowing how much they love us. It was absolutely amazing because Korea has a ton of pollution so you can only see a few hundred yards but the rain cleared it out so you could see the vivid green mountains all around and it was stunning! Everything seemed so close! It was such a great morning! We also did weekly planning and after went out and proselyted until dinner. For dinner we ordered chicken and went to the huge soccer field/track and sat in the stadium and ate chicken and enjoyed the nice weather and the huge mountain beauty in the background! It was super fun! That night we visited a member and it was really great! 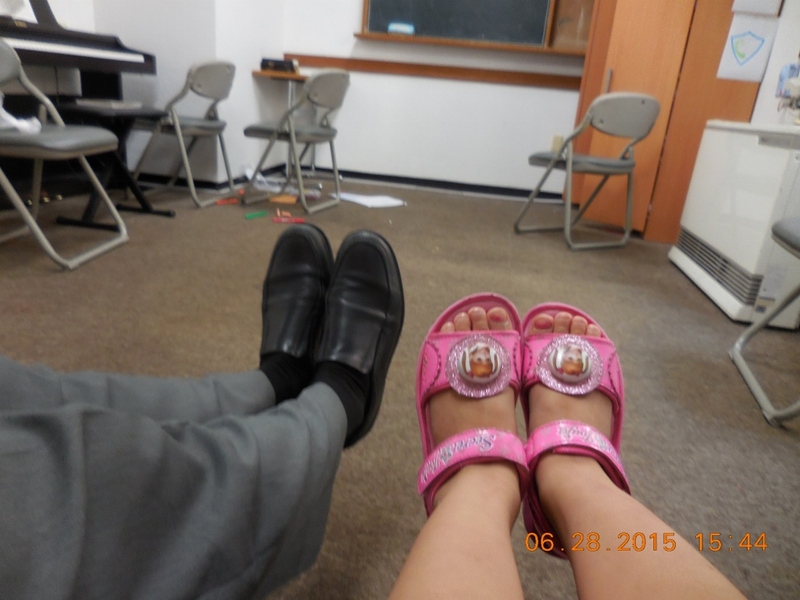 Saturday 6/27 – We had Englsih class and game night and both went good! 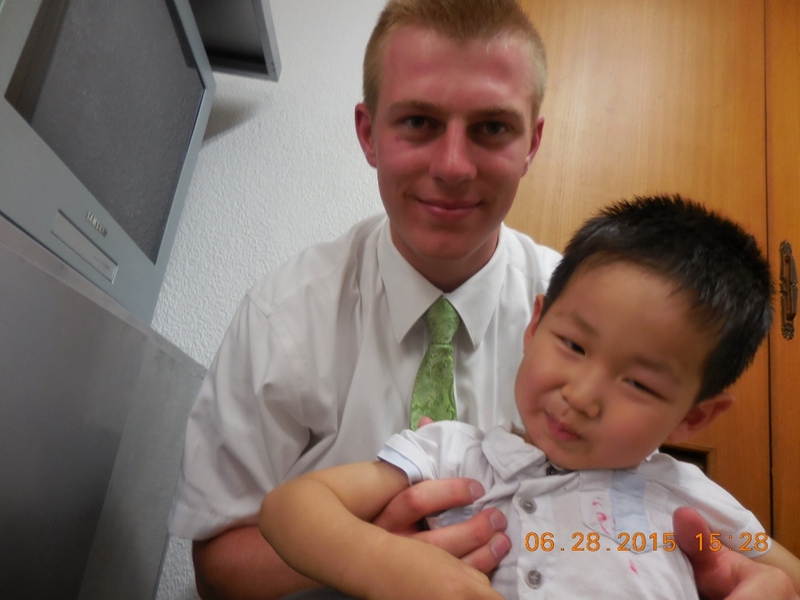 Sunday 6/28 -Church was awesome, we had Elder Edwards family in church with us because they came to pick him up! 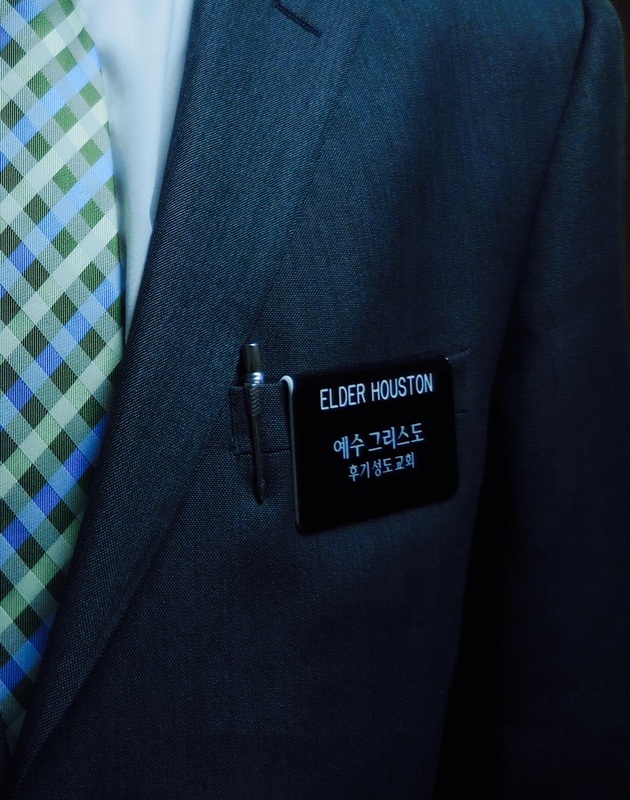 He served in Wonju about a year ago. His family was super nice! His little 12 year old sister reminded me of Abbey! She was really funny! Haha I liked her! It was fun to have them there! Church was really good, after my companion had a lot of meetings and stuff as second counselor! I was in charge of watching the kids while they met! What a blessing that was! 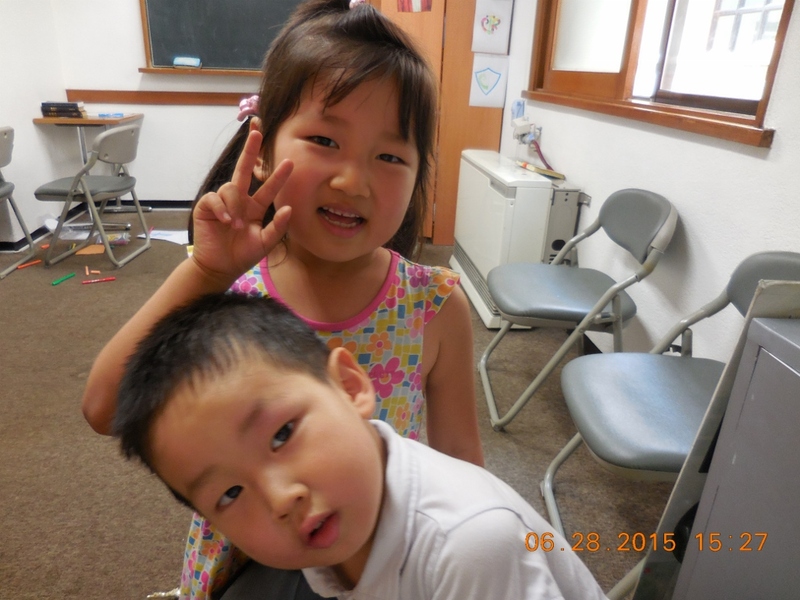 The Branch Presidents kids are adorable and it is great Korean practice! I watched them for like 3 hours and we played all kinds of Korean games and his little girls stole my camera and took a bunch of pics! It was really funny and cute! Haha we had a great time! We ate dinner and proselyted for a little as well! This week was just great! I had a lot of fun! I miss Ho Jaewon a lot but he is doing well, he went to a branch activity last Saturday on Jeju Island and said he had a really good time! He is just awesome! 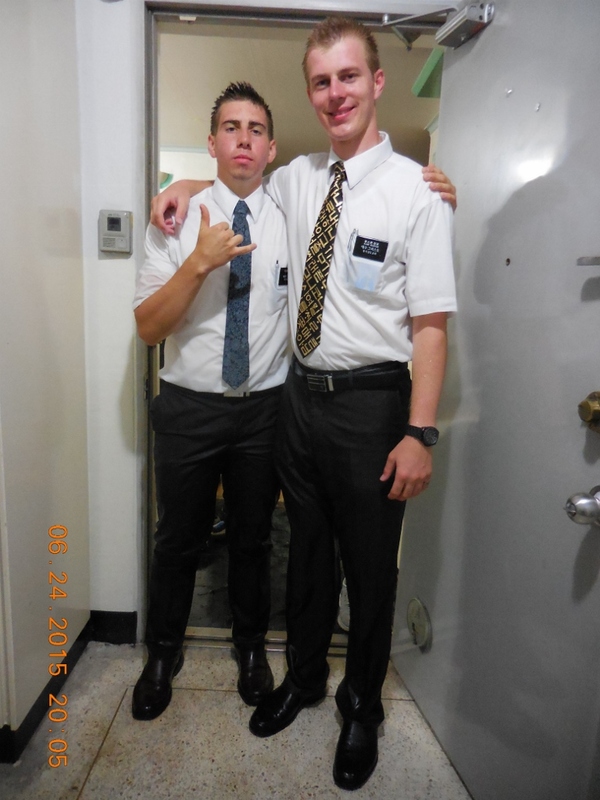 My mission is awesome I am loving every second of it! I am so happy to be serving here! I know that Jesus Christ is our Savior and redeemer, I know he lived, died and now lives again. I know through him we all can find peace happiness and be saved! I know that Joseph Smith was a true Prophet and through him our loving Father in Heaven has reached out to us once again! I know the Book of Mormon is true and I know that this church is true! I love you all and can’t wait to talk to you next week! 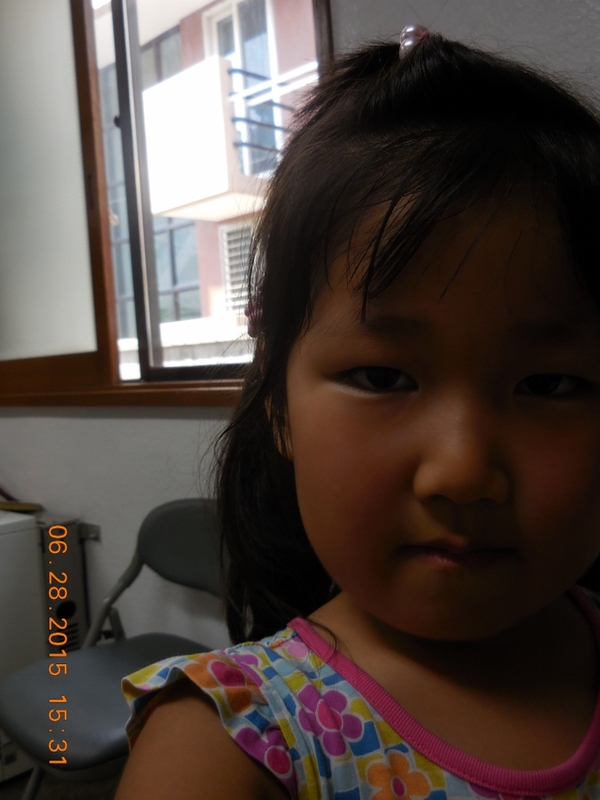 Categories: 2nd Area - Wonju | Tags: Week 45, Wonju - Week 13 | Permalink.